Our topic-based curriculum ensures that children learn about a range of scientific processes as well as how Science plays a significant part in our lives. We also teach separate Science lessons so that there is year on year progression in all areas of the subject. We place an emphasis on investigation skills and the children carry out an investigation or experiment for every topic. The school has achieved Level Three in the RHS School Gardening Awards. 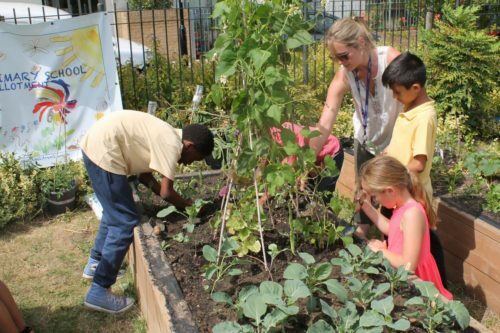 We have a lovely allotment looked after by the staff, children and parents and make use of the green space around Camden to enhance learning opportunities.